Deep in the Amazon, the population of the indigenous pink river dolphin is dwindling. Docile and easy to catch, this near-mythical animal is being hunted to extinction and used as bait for scavenger fish. But two activists are each working tirelessly to raise awareness and protect the species. On the one hand a marine biologist and on the other a famous TV star, each has their own very different approach to their one common goal. As the battle to save the pink river dolphin intensifies, the effort to direct the public’s attention to the issue becomes increasingly difficult. When a scandal erupts, ethical questions are raised as murky as the waters of the Amazon River itself. What sacrifices are acceptable in the battle for this endangered animal and what are the grander social, economic and environmental issues involved? Mark Grieco’s (Marmato) surprising documentary digs into the ethics of activism in the modern media age. 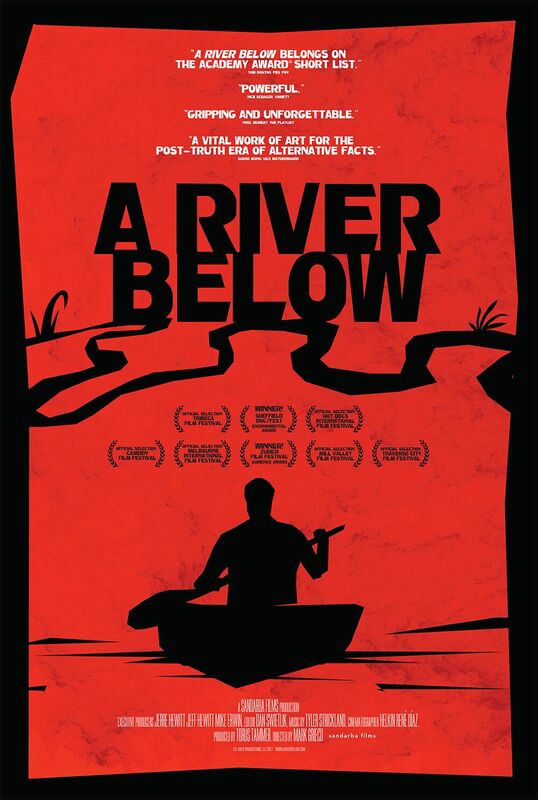 A RIVER BELOW opens in New York and Los Angeles on Nov. 3rd and if you live in or near one of those cities, I highly recommend you check it out. To hear my conversation with Mark, click play on the embedded player below.